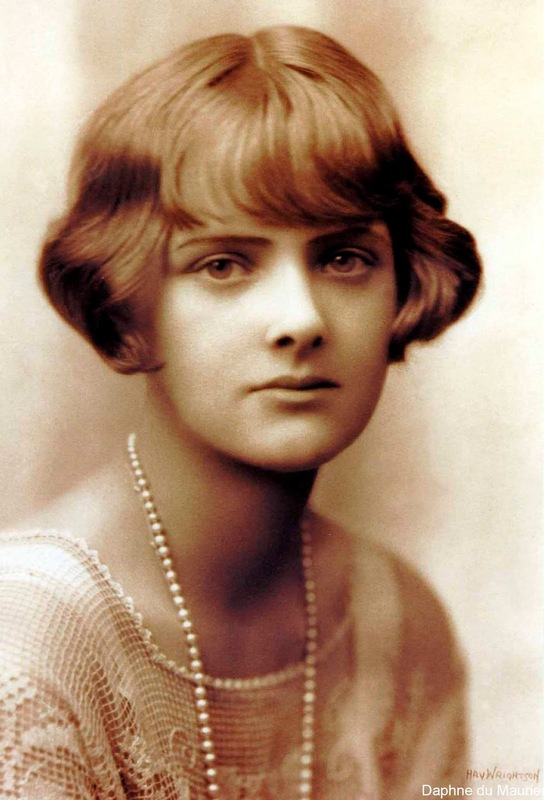 Daphne du Maurier (1907-1989) was born in London, the daughter of an influential actor’s manager, Sir Gerald du Maurier and granddaughter of George du Maurier, a hugely successful author known best for his novel Trilby and the character Svengali. Daphne du Maurier published her first novel in 1931 and went on to publish dozens of novels, short story collections, and biographies. In 1932 she married Major Frederick Browning (Mr. and Mrs. Browning became Sir and Lady Browning in 1946). Her marriage was problematic: Browning, a veteran of World War One, suffered psychologically from the experience, and there were affairs. Browning passed away in 1965. In 1969 du Maurier was given the title of Dame Commander of the British Empire. Du Maurier was extremely successful, appearing on the Publishers’ Weekly’s list of the top ten bestselling books of the year twelve times, between 1938 and 1969. Her most famous book, Rebecca (1938) was adapted into the classic Hitchcock film of the same name. The film adaptation of her short story, The Birds (1952), is still famous as well. There is a lot of debate about du Maurier’s sexual orientation and her views thereof. I don’t feel confident enough in my knowledge of du Maurier to make a definitive statement one way or the other. There is significant evidence that she was bisexual, but as to her feelings or actions on the matter, may your own research help you draw a conclusion. 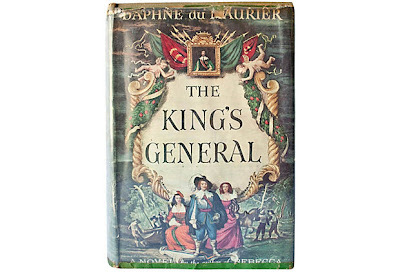 The King’s General takes place during the English Civil War and is told as a reminiscence of the middle-aged Honor Harris. Those who follow my blog may recognize that this is the second novel in a row to be set in this time period. But whereas the previous year’s Forever Amber was a romance, The King’s General fits more into the realm of gothic mystery. The narrator, Honor Harris, is the daughter of minor nobility in Cornwall. Through her brother’s marriage, the family is tied to the illustrious Grenviles. Honor (quite rightly) sees her new sister-in-law Gartred as manipulative and dangerous. A few years later, after her brother’s death, Honor is reintroduced to the Grenviles and falls in love with Gartred’s brother Richard, who is thought of as a great soldier, but a cad (e.g. Forever Amber’s Bruce Carlton or Gone with the Wind’s Rhett Butler). Very early in the novel, they are engaged to be married and the story seems to be leading to a typical romance. Then, as Honor, Gartred, and Richard are on a hunt, Honor’s horse falls and Honor is crippled for life. While Honor and Richard’s paths cross and there is love between them, this is not at all like Scarlett & Rhett or Amber & Bruce. Although I can’t help but feel that Amber & Bruce are at least partially responsible for the commercial success of The King’s General. Based on what people expected from du Maurier based on movies like 1940’s Rebecca, as well as a historical novel that takes place in the decade preceding the previous year’s runaway bestseller, and add to that du Maurier’s name recognition, The King’s General was poised to take the number one spot. It is the only book of du Maurier’s to do so, despite being one of her marginal works and being one of the only three (so far) books on my list to not have had a film adaptation (the other two: Mr. Britling Sees It Through by H. G. Wells and Strange Fruit by Lillian Smith). As a gothic mystery and as historical fiction, The King’s General is good. The prose is what you would expect from a gothic mystery (which isn’t personally to my liking, but there’s no accounting for taste). If either of the above-mentioned genres interest you, The King’s General is certainly worth a read. du Maurier, Daphne. The King's General. Garden City, NY: Doubleday & Co. 1946. Print.